The team at Cox & Miranda DDS is a caring group of professionals who are dedicated to providing you with the highest quality of care, making your visits to our office as comfortable as possible. We are proud of our diverse staff: each member brings a personal touch and a friendly demeanor. Some of our team members have worked in our practice for over 20 years and hold extensive knowledge about the practice and our patients. All of our team members bring their experience and use their knowledge to serve you best. No matter your age or needs, each team member of our staff will welcome you, care for you, and work to meet your needs to the best of our capability. 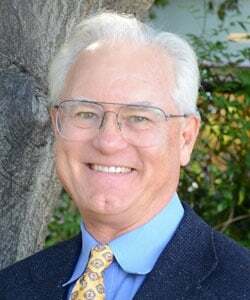 Dr. James A. Cox is a native Californian who has been practicing dentistry and living in the Palo Alto area since 1976. He graduated from Woodside High School before attending the University of California at Santa Barbara, where he graduated with honors, with a Degree of Bachelor of Arts, and a major in Zoology. Dr. Cox received his dental training from the University of California at San Francisco School of Dentistry and graduated with honors in 1976. In the pursuit of excellence and advancement of patient care, Dr. Cox is committed to expanding his education. He has completed the world-renowned Nobel Biocare Surgical and Prosthetic Curriculum and utilizes the latest techniques in oral implantology. Dr. Cox has restored dental implants for nearly 35 years and has surgically placed implants for almost 20 years. Dr. Cox is a member of the American Dental Association, the California Dental Association, the Mid-Peninsula Dental Society, is Co-Chairman of the Mid-Peninsula Dental Society Peer Review. He is highly respected by his peers within Palo Alto as well as those within other state Dental Societies. From the beginning of his career Dr. Cox has been committed to providing the highest quality and care to his patients. During his first 15 years he not only became a master craftsman and dental artist in designing and creating his patient's crowns, bridges and dentures but also became highly esteemed in the technical aspects of creating aesthetic restorations. He has presented lectures to dentists and dental laboratory technicians on technical and aesthetic aspects of restoration. As a result of this commitment, our office is one of only a few in the area that houses its own dental laboratory for the creation of dental restorations. When Dr. Cox is not working he loves to spend time with his wife and family. He is an avid snow skier, water skier and wake boarder, and loves to go off road motorcycling. Dr. Cristian Miranda, a native of Chile, has been practicing dentistry since 1993 and has lived in the San Francisco Bay Area for over 30 years. He graduated from the University of California at San Francisco School of Dentistry in 1993. In pursuit of further expanding his knowledge and providing excellent care of his patients, Dr. Miranda has an extensive commitment to continuing education. He has completed the world-renowned Nobel Biocare Procera Training Course at the University of Michigan. He has also completed the Nobel Biocare Surgical and Prosthetic Curriculum and utilizes the latest techniques in oral implantology. An Academic Fellow of the American Academy of Oral Medicine, Dr. Miranda has furthered his expertise in diagnosing and treating oral muscosal and pre-cancerous lesions. 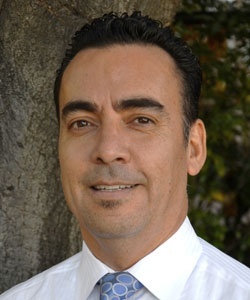 Dr. Miranda has served as an Adjunct Clinical Faculty at the Stanford University School of Medicine, Department of Dermatology, and is currently a member of the American Dental Association, the California Dental Association, and the Mid-Peninsula Dental Society; as well as The European Association of Oral Medicine and the International Association of Oral and Maxillofacial Surgeons. When Dr. Miranda is not working he loves to travel, spend time with his son and his extended family. Our Registered Dental Hygienists (RDH) are licensed and trained in offering teeth cleanings, advising on dental home care, and are also licensed to take X-rays. Our office is in a unique position of having four hygienists on staff, each offering a unique chairside style to meet your needs. Our dental assistants are highly trained and licensed as Registered Dental Assistants (RDA) or Registered Dental Assistants, Extended Function (RDAEF). Each is also licensed in taking X-rays. Our team of assistants represent a combined sixty years of experience in the field. The dental assistants work with you and assist the doctors to ensure you receive the highest quality of care - chairside and throughout your treatment. Cox & Miranda DDS is one of the few dental offices in the area that offer lab services on site. Having a lab on our premises allows us to manage our patients' cases efficiently, and to our doctors' specifications. Our lab team has a combined 50 professional years in dental lab techniques. The team is skilled in designing and creating nearly all of the restorations, crowns, stay-plates, and dentures placed by our doctors. Our office offers crowns and restorations crafted from BruxZir® Solid Zirconia. BruxZir Solid Zirconia Milling Blanks produce a final restoration that exhibits maximum strength, translucent pearlescence, and excellent shade-matching. We use state-of-the-art CAD/CAM technology in our designs, allowing the doctors, the lab techs, and the patient the opportunity to fine-tune esthetics and function. CAD/CAM uses computer-aided design and computer-aided manufacturing to improve the design and creation of your dental restorations including crowns, veneers, inlays and onlays, fixed bridges, dental implant restorations, dentures (removable or fixed), and orthodontic appliances. CAD/CAM complements earlier technologies used for these purposes by any combination of increasing the speed of design and creation; increasing the convenience or simplicity of the design, creation, and insertion processes; and making possible restorations and appliances that otherwise would have been infeasible. In addition, having a lab onsite allows for faster turnaround times for retainers, night guards, and other dental appliances. Our Front Office team is dedicated to assisting you in the business, financial, and administrative aspects of your dental visits. From working with patients to schedule appointments, coordinate financial arrangements, bill insurance, or confirm your visits, our administrative team's goal is to provide you with a quality patient experience when you call us or visit our office. The front office team members work with patients, the doctors and assistants to streamline your visits. Our team is trained in utilizing our paperless dental software, efficient scheduling, insurance billing, patient payments & accounts, and HIPAA compliance. All of the front office team members are also certified in CPR. Our receptionists are happy to be your first point of contact to answer any questions about your visits and treatment.